27.02.2009 - Life goes slowly on after the tragedy of the Veszprém handballers. Read about a fundraising initiative and about the award of Uros Vilovski. 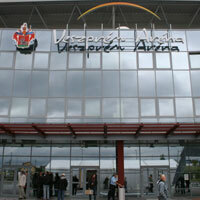 15.02.2009 - The Hungarians pay tribute to Marian Cozma by winning a battle against Ademar. 09.02.2009 - The European Handball Federation has dealt with the consequences of the tragic case of MKB Veszprém player, Marian Cozma. 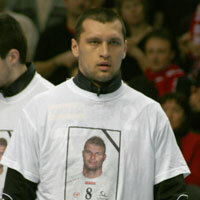 09.02.2009 - The tragic death of Marian Cozma puts an end to a promising career.